This is a transcript of SYS Podcast Episode 262: Writer/Director Vladimir de Fontenay Talks About Turning His Short Film Into The Feature Drama, Mobile Homes. Ashley: Welcome to episode #262 of the Selling Your Screenplay Podcast. I’m Ashley Scott Myers, screenwriter and blogger over at www.selingyourscreenplay.com . Today I’m interviewing Vladimir de Fontenay who just did an indie drama called Mobile Homes. It’s a great example of a feature film that started out as a short film and then the writer-director was able to take that short film out as a proof of concept and ultimately get funding and get his feature film version produced. So stay tuned for that interview. If you find this episode viable please help me out by giving me a review in iTunes or leaving me a comment on YouTube or retweeting the podcast on Twitter or liking or sharing it on Facebook. These social media shares really do help spread word about the podcast so they’re very much appreciated. So a quick few words about what I’m working on, my feature film The Pinch, The Crime Thriller feature that I’ve been working on over the last couple of years. We’ve now officially launched on iTunes, GooglePlay and Amazon, which includes Amazon Prime. We’re launching on Voodoo this week so if you use that service, we should be available there as well. If you subscribe to Amazon Prime you can watch the film for free. Again, you just go to Amazon Prime, type in The Pinch. If you watch it and have a minute please do leave a review of the film. It’s especially important with Amazon Prime because this is where most of the money is going to be made for a low budget film like this and getting good reviews and lots of early watches will help the film get recommended to other people who use Amazon Prime. So big thanks to everyone who has gone on and written a nice review for me, it really, really is appreciated. And if you do have a minute to watch the film and give me a review in the future, those are also very much appreciated. Also I’m selling the film directly from my website, I’ve mentioned this before, just go to www.sellingyourscreenplay.com/thepinch. You can buy it there, it’s basically the same price, it’s a little less than five bucks. You can also get the three hour webinar if you would like. If you go through my site for an additional…I think the app sells like five dollars to add that on to the purchase of the actual film. And in that three hour webinar I cover every part of the process of making the film: writing the screenplay, raising the money, pre-production, production, post-production. I put quite a bit of time into preparing this webinar and getting it ready, so if you’re thinking about making a micro-budget film I think this would be very educational for you. In terms of my own writing I’ve got a solid draft of my horror thriller screenplay that I’m hoping to shoot this year. I’ve sent it to a line producer friend of mine for the first sort of preliminary set of notes. Me and the other producer will be meeting him next week to talk it over. This line producer, again, he’s a good friend of mine. He’s got probably two decades of experience working as a line producer in the industry so, he should be able to really help us figure out the budget for this project. Kind of just give us his producer notes, some development notes, what he thinks of the project. Ultimately I’m hoping that maybe I can get him involved as a line producer on the project. But even if that doesn’t work out this is gonna be a first real just good meeting to kind of just understand where were gonna have to spend money where we might not necessarily think that we were going to. He just has a lot of experience. There’s lot of driving scenes in there. We’re already on the phone have started to talk through some of those making sure those those driving scenes don’t feel completely low budget. Getting the proper rigs to put the camera on the sides of the cars and that kinda thing. Just a lot of things like that, those are the sorts of discussions we’re gonna be having with him. You know, how do we do this, how do we do this type of shooting. And again he has just so much experience, he’ll know, maybe not the exact penny for penny cost of these things, but he’ll know roughly what’s that gonna be and after reading the script and writing up some notes for us he’ll have a pretty good idea about what he thinks we can do in terms of sort of the minimum budget on those things. So slowly but surely that project is moving forward and I hope I have some updates on that in a couple of weeks. So that’s the main things that I’m working on. Now let’s get into the main segment. Today I am interviewing writer-director Vladimir de Fontenay, here is the interview. Ashley: Welcome Vladimir to the Selling Your Screenplay Podcast. I really appreciate you coming on the show with me today. Vladimir: Thanks for having me, how are you? Ashley: Very well, thank you. So to start out, maybe you can tell us a little bit about your background. Where did you grow up and how did you get interested in the entertainment business? Vladimir: So I was born in Paris in France and I studied Political Science. I did a lot of different things and moved to Italy when I was 18 and then one day I was walking by a shop down my house and they were selling an old [inaudible 00:05:40] and my girlfriend’s father at the time, he was shooting a lot of Super 8 videos, he was a photographer, and so he gave me some to film. So I started to I started doing images and it got me interested in sort of like telling stories visually. I had done a lot of photography when I was younger. My parents gave me a camera when I was 12 and I was shooting a lot of photography. But then suddenly it became something new. I just liked the movement, being able to sort of express a different feeling by just creating movement and time with something I felt was very mesmerizing. So I started shooting a lot of homemade little short films with friends and they were horrible. They were terrible short films obviously but had a lot of fun and I had a lot of fun editing them too. When I discovered editing I thought it was like so…I don’t know, it was giving me vertigo because suddenly again like that sense of like affecting time and how like information placed in time with giving you different kinds of emotions was something I felt was incredibly interesting. So I started doing some short films and then when I was done with my assignment in Italy, I went back to France and I started…I wanted to get to understand how films were being made. I didn’t know how it worked really. I wanted to understand like what people were doing on sets, how people were getting their stories financed or written or produced. And so I started doing, I did some internships in production companies so I would read scripts and then I started working as an intern, as a PA on a lot of film sets with friends and get to observe the different sort of roles on the film set. And then I started doing a short film for a friends TV when I was like 18 to 20 and then I applied to…I heard about NYU which is a film school that I was dreaming about because it had people like [inaudible 00:07:47] or Spike Lee or Jim Jarmusch- former students that I looked up to and they were either professors or had been there. And so I applied to NYU and I saw they had grants and scholarships and I went [inaudible 00:08:04] fantastic and I started doing short films there and met incredible students and professors. In the second year at NYU, I did a short film called Mobile Homes and I got to write it there in class and then edit it and show it to professors, have their feedback. I went on the festival circuit with it and that caught the attention of a few producers and then they got me money to write the script for the feature film, and then that’s how I made the feature version of Mobile Homes which was originally just a student short film. Ashley: Yeah. Let’s dig into that a little bit. I always like to get sort of a sense of the scope. How many film festivals did you submit to with these Mobile Homes shot? Vladimir: With the short film, originally I sent it to sort of like maybe the top 10 ones or something, because then you have to pay for every…when you apply to a festival there’s always a little bit of a fee. I think applies to the 10 biggest festivals and then I got to sign by I think it’s Clermont Film. Clermont Film was the beginning for the market for short films and so I went to the Clermont Film and I sold the short film there. After Clermont Film that’s also how I found a producer. But basically once I got into Clermont Film [inaudible 00:09:36] then it got invited to a lot of…there’s a certain point where after submitting to a few short film festival and they’d pick you then these programmers, they’d come to the festival and they want to program them. But it’s really funny because like for example in two days I’m going to Louisiana in Lafayette for a festival and their programmers who had seen the short film at a random festival some time ago and then they contacted me and they were like, “Hey, would you be interested in showing the feature?” They were just like that world is very supportive and filled with very interesting people who are really sort of helping filmmakers in the long term. If they seem to think I’m going to Louisiana in a few days to support a feature, and the people that are allowing me to do it have been people who’ve been helping me with this short film like years ago. Ashley: Yeah. So the one festival is South by Southwest; what’s the name of the other festival, you broke up as you were saying that. What’s that other festival that you went to? Vladimir: Oh, Clermont Film in French. Ashley: Okay, I got you. Okay, perfect. Vladimir: Yeah Clermont Film. It’s a big short film festival. Ashley: I see, okay. So let’s dig into your latest feature film Mobile Homes starring Imogen Poots. Maybe to start out you can give us a quick pitch or a logline. What is this film all about? Vladimir: I think this film is about young adults struggling to find a home for themselves literally, and then in the sort of quest or journey to find a home for themselves they sort of discover the true nature of their relationship and what that home really is for them. It’s very [inaudible 00:11:35] but yeah. Ashley: I got you. And so let’s dig in to your…so where did this idea come from? What’s the genesis of this idea? Was this a world you knew about in real life or how did you come up with the idea for this film? Vladimir: I was in my second year at NYU and I was scouting for a location Upstate New York. I was on the highway driving and at some point there was like a little bit of wind and a truck passing on the highway. I turned and it wasn’t a truck, it was a home. It was like a mobile house, you know, a mobile home being towed by a truck on the highway. And so basically I just looked at this mesmerizing, sort of, flying house on the highway and it was so striking that I thought it was just so cinematic in a way and it was so evocative of that feeling of that I think it’s quite universal of like looking for a home and what is our homes and how they change throughout time. That image stuck with me for a while. I don’t know if it’s the fact that it was I thought very cinematic. I just thought it was very interesting that it was like both evocative of in some sense of freedom but also a sense of [inaudible 00:13:00] it’s like with the wind and the movement, you’re like this could collapse. And so I started thinking of characters that had those feelings in them, that feeling of like the desire to be free but also to sort of be in this very rough situation that doesn’t necessarily allow them to be still in one place and have a home and a roof over their heads [inaudible 00:13:36]. I started writing these characters in a way that…and their relationship to that home. And that’s how it worked. I wrote a short film that was like 13 minutes long that was really just sort of like this situation of a mother and child sort of like having to run away from an abusive boyfriend and hiding in a mobile home park that the kid had been exploring before and they hide in a mobile home. The next thing they know is the next day after they spend the night there it’s being delivered somewhere and they’re being towed away with the home somewhere. That was sort of like the short film. Suddenly they were free in that mobile home, but to go where, we didn’t know. So I did that short film that was the writing of it. And then after that I realized, “Wow I didn’t go far enough with the characters, it could be more complex, I feel like I didn’t explore the world of the mobile homes enough.” I started thinking why don’t I keep writing about it because I was so frustrated about it. And so what was very interesting, I picked up the writing of the feature where I had left the writing of the shot because the characters existed, the world existed, but then I didn’t know what was gonna happen to them because basically the short film was kind of like the first act of the feature. And so basically it was great because it was very intuitive. I was like, “Okay, what happened to them, how did they react, what did they do? Are they able to adjust in the new world that they’re going to enter in?” And so that sort of had the writing continued and, it took me a while to get there. And then again there’s this idea that when I write I tend to really free myself from facts or reality at first so that I could go really where I want to go in terms of the characters and the movements of the fiction and then once I have an idea of the film that works with this script that I think kind of works as a screenplay, then I confront it to reality. Then I’m like, “Okay, but what it is…what is that like for these characters? What is it to be a young mother and not having the resources to find a home and put your kid to school and what is it to be involved in some criminal activities like [inaudible 00:16:07] and then I do research and go and look at YouTube videos, I interview people. And then the great thing is that research continues up until the last day that you’re locking your script because…a script but also the film. It’s like you do the research for the script and then when it comes to choosing the location, choosing the outfit that the actors are wearing, you look at photography, you look at documentaries, you look at things and then how to handle the rosters. And then you come to color grading at the end of the project and you’re like but in those photos remember that we shot [inaudible 00:16:47] outside of Pennsylvania and that little bar, it was way darker. I think the research is very important in the writing but coming second…sort of like at the second half of the writing because it really carries throughout the making of the film till the end, you know. Ashley: Yeah. So let’s talk about your specific writing process. I noticed on IMDb there is a credit for Danielle Lessovitz as an artistic collaborator. What does that actually mean and what was your relationship with Danielle as you went through this? Vladimir:…very much involved in the writing and it was very, very nice. I think it was sort of like…with some of the production elements, like the credits, it ended up…I don’t think she could be credited with the work, she couldn’t be credited as a co-writer or something. That’s why we ended up finding other credits and I think she’s also the executive producer and creative artistic collaborator. She really helped me with sort of like finding out [inaudible 00:18:20] the world and rewriting stuff. She was very much creative. She’s making a movie now, but she was a strong collaborator in the writing of the film. Ashley: Yeah, perfect. So as you’re going along with this project, it sounded like you got some of these producers. You had the short film, you got the… the producers were able to get a little bit of money raised for you to write this script. What sort of stipulations came with writing that money? Did you have some sort of a timeline like you had to write the script in x number of days? Maybe talk about that process a little bit and then maybe even get into some of the development process. Obviously if someone’s giving you money they probably wanna give you some input into the creative choices as well. Maybe you can talk about that. Vladimir: Yeah, two things- I was lucky to have the shorts that I did before because with the short it’s like there’s already something that exists that’s visual, that is tangible, that everybody can look at and so they know what they’re getting into. If they wanted to produce the feature version of Mobile Homes, there’s already a short film called Mobile Homes so they know the world, the greediness, the images, the look, the kind of acting, the kind of film that they’re getting into. So in a way they were doing the writing and there were also really good creative producers and they lent me so much freedom just writing the script. And then I think what happened is after I wrote a few drafts one of the producers told me, “Well, I think you didn’t go far enough, I think you can push that,” and they were always sort of very respectful of my process but always sort of like, I think very creatively involved with the script. Then when I wanted to bring Danielle Lessovitz to start writing with me at some point, they were very open to that idea. They were just sort of like giving us a lot of freedom and that’s how it worked. The thing is, then comes production, and then in production, that’s when the script is being challenged because every day you’re burning pages of your script right? They become something else. And so that’s also very fun because the script is very much like something that’s not gonna last. The script is just like something you work with but then it’s meant to disappear and to be turned into images. Then with the budget and the production and then you realize, “Okay, that giant house is not a giant house anymore.” because you can’t afford it. It’s like a tiny basement, and then you sit in the basement. But then…it’s sort of like you start to be [inaudible 00:21:04] and keep you direction. Know where you’re heading to, and be willing to adjust so that you understand the concept of production. When things are not possible, you have to understand that they’re not often possible anymore. But then it’s like, how can you keep the integrity of the script but also [inaudible 00:21:27] it works in real life. So that’s that’s the work of juggling with those constraints. I think it’s great when you’re paired with producers that understand your artistic visions and also when you’re with a creative team that understands the producers’ constraints and what they’re dealing with? Also just as a director I just tend to really enjoy when things are a bit out of control, and you it doesn’t go as planned. In the same way it’s like dialogue. When I write dialogues, those dialogues are meant to die. I always tell my actors, “Just say it the way you would. Keep the idea of the dialogue, but just say it in your own way.” It’s the same with blocking, you have an idea of the blocking but then the rules are taking me somewhere else, and I get the whole crew to be in that state of mind of the script is really much [inaudible 00:22:33] a sense of [inaudible 00:22:34] and something that will entertain all of us. So it’s just sort of like finding it in every scene, in every location in every set. It’s [inaudible 00:22:47] automatic in any way and it’s the same in the editing. In the editing I got rid of a lot of things that just simply didn’t work as opposed to feeling attached to an idea and you’re forced to get into it. It’s just like I love that idea that some point of film exists by itself. The film becomes its own thing and has it’s own rules and it’s just like you can’t hold on to a script or an edit. Things just sort of like….at some point the film dictates it’s own rules somehow. Ashley: Yeah, for sure. How can people see Mobile Homes, do you know what the release schedule is gonna be like? Vladimir: Well, in the US I think the release is on the 16th of November I heard [inaudible 00:22:32] and I think it’s gonna be on VOD at the end of the year. Ashley: Okay, perfect. And what’s the best way for people to keep up with what you’re doing, Twitter, Facebook, a blog, anything you’re comfortable sharing I’ll round up for the show notes. Ashley: I really appreciate your time today. Congratulations on getting this film and I look forward to following your career and hearing about your next film soon. Vladimir: Thank you so much, have a good day. 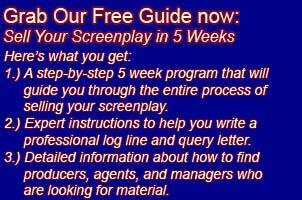 A quick plug for the SYS screenwriting analysis service. It’s a really economical way to get a high quality professional evaluation on your screenplay. When you buy our three pack you get evaluations at just $67 per script for feature films and just $55 for teleplays. All the readers have professional experience reading for studios, production companies, contests and agencies. You can read a short bio on each reader on our website and you can pick the reader who you think is the best fit for your script. Turnaround time is usually just a few days, but rarely more than a week. The readers will evaluate your script on six key factors- concept, character, structure, marketability, tone and overall craft, which includes formatting, spelling and grammar. On the next episode of the podcast I’m gonna be interviewing Kane Senes and Hannah Barlow who just wrote and directed a small indie dramedy called For Now. Kane was actually on the podcast a few years ago, I think it was #Episode Number 76. I will grab that and put it in the show notes. If you have a minute I would say listen to that before next week’s episode. I’m not gonna go through or I’ll try at least not to go through a lot of the same information, so I’m not gonna have Kane come on and kind of talk about his background, that’s all on Episode 76. In this case he did this movie with Hannah, so it’s Kane and Hannah so we’ll get into Hannah’s back story a little bit, but definitely check out that Episode 76 for a little bit of back story on Kane. And then this is just another great example- Kane and Hannah they’re just two people trying to make it in this business. They just went out and they just made their film. It’s a great sort of just, again, inspiring story from two artists just getting out there and trying to make things happen for themselves. So keep an eye out for that episode next week. That’s the show, thank you for listening.